On a recent home remodeling television show, a contractor was shown installing a skylight into an existing roof with no curb, and apparently little roofing or flashing work other than sealant. It was a late-night TV show, but it made this architect sit up and pay attention. Sure enough, after the commercial break the skylight leaked, confirming the owners’ worst fears about skylights. Modern skylights can be leak-free if properly installed. Many people are reluctant to install skylights in a project because they fear leaks. But almost all modern skylights are leak-free, as long as they are installed properly. Proper installation of a skylight in an existing roof requires peeling back (or removing) the roofing, installing a skylight and curb, and then a new layer of roofing and sealant in the area surrounding the installation, along with metal flashing. With a new roof, the skylight goes in before the roofing, and then the other items get installed along with the roof. For both of these installation types (into new and existing roofs), it is important to have a proper curb, good flashing, and thoroughly-applied roofing and sealants, all of which are very familiar to good framers and roofers. The skylight itself is very unlikely to leak. It is the installation that requires attention. Properly installed skylights will not leak even if the caulking dries out, because a good installation does not rely on caulking to keep water out. Some skylights do not use caulking at all. Daylight inside a house can make it feel larger. Bringing daylight into a house can make the difference between a dark, enclosing interior, and a light-filled space that makes a room feel roomy and bright. For interior rooms, even a small skylight can have a tremendous impact at low cost. 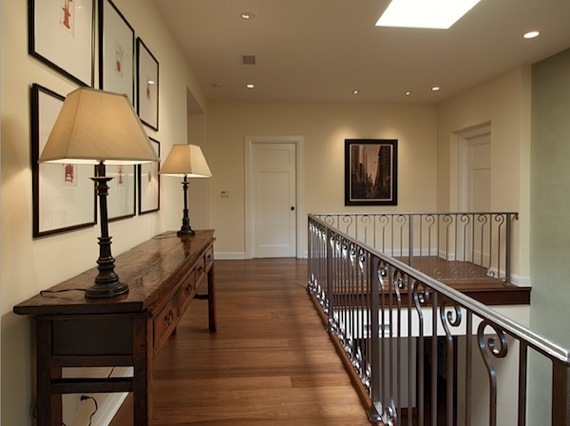 Good locations for skylights: interior hallways, bathrooms, bedrooms, kitchens and walk-in closets. Even an exterior porch can benefit from a skylight in certain cases. A skylight need not be very large or expensive to be effective. A 24” x 24” skylight is often big enough to light up a small kitchen, for example. And for closets, a tubular skylight is an excellent source of daylight, while providing UV protection for clothing. Skylight costs (not including installation) begin around $170 for a good 24”x24” skylight made by a reputable manufacturer, as of this writing. The lowest prices also indicate the simplest construction: a fixed skylight. But skylights are also available with a wide range of options: screens, manually-opening mechanisms, remote-control openers, rain-detectors to close the skylight when the first drops fall, exhaust fans, etc. All at additional costs. When choosing a skylight, you need to decide if a view of the sky is desirable. Skylights are available with either clear glazing or frosted. Clear glazing provides a clear view of the sky, and allows sunlight to enter directly. Frosted glazing mutes and diffuses the light, creating less harsh, more even illumination–but without a clear view of the sky. Both types of glazing can be ordered insulated with Low-E materials for energy efficiency. It is the quality of the light (and visibility through the skylight) that should be the deciding factor. One note about glazing: if your house is located in a Very High Fire Hazard Severity Zone, glazing for skylights (and any other openings such as windows) must be of insulated glass (double-pane) with one tempered pane. This reduces the number of available skylight options, as only a few manufacturers produce skylights with this feature.